Dear 7continents5oceans, Thank you for sharing your review of your experience at our hotel! 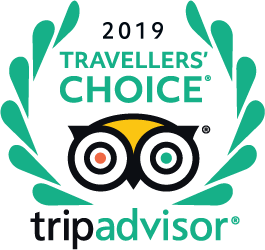 We’re delighted that you were comfortable in our accommodations, you have enjoyed the excursions and that you got immersed in the essence of local cuisine through our gastronomic preparations. It is our biggest reward to realized that you have captured the Singular’s essence! We hope you’ll be back to our we look forward to the pleasure of hosting you once more. Thank you and have Singular day! Hola irma355! Claro que sí! The Singular Restaurante Patagonia está abierto para húespedes y visitantes. Tenemos el Restaurante, El Bar, y el Asador, cada uno con una oferta gastronómica y precios diferentes. Puedes chequear menues en nuestro site. Does anyone know an email address for the Singular Patagonia (the contact on the website doesn't appear to be working) ? Today I received an email from them announcing their new website. May be that is why you had trouble contacting them . The reservations office is located in Santiago and they are working all year around. So try again. Are their opportunities to do self-guided hikes in the vicinity of the hotel if we don't want to do group excursions everyday? My husband and I will be traveling with our 8-year-old daughter. Is there an extra fee for a child?